Remember when youâ€™d turn up to a school lesson at the end of term and the teacher would just shrug and abandon the class to a movie instead? It canâ€™t just have been me. In most cases it was the schoolâ€™s art department who fell back on the method. 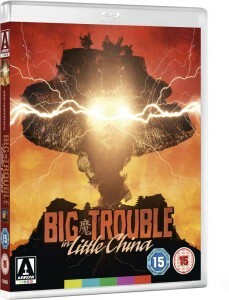 Nine times out of ten the movie they showed was BIG TROUBLE IN LITTLE CHINA. I saw it so often during my school days that Iâ€™ve never watched it since. School reunions can be tricky things, weâ€™ve all aged, got fatter and more intolerant. The things you liked about each other now grate. Of course sometimes, you discover new things too, a sudden realisation that throws the past into clarity. 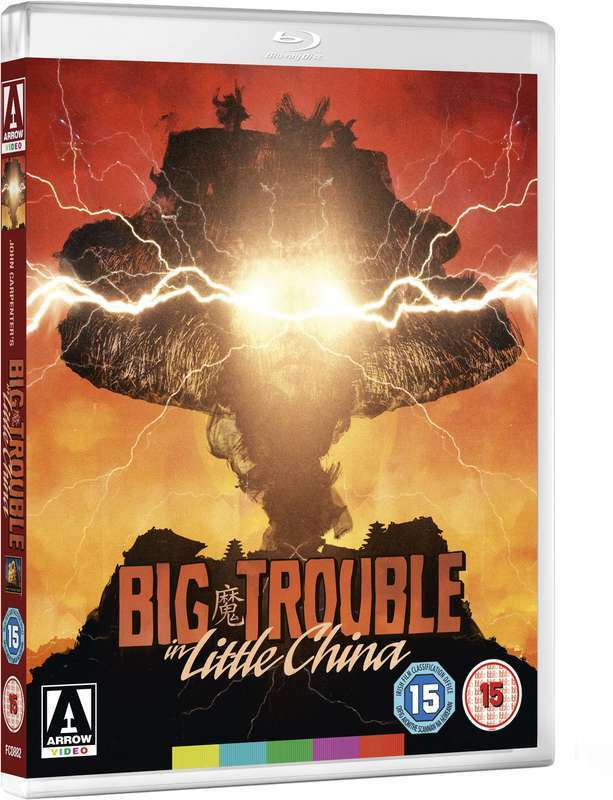 For example: I donâ€™t think I ever really twigged that BIG TROUBLE IN LITTLE CHINA was a comedy. I was probably too busy falling in love with Kim Cattrall, staring at the pulsing green lights and fight sequences that laughed in the face of physics (most memorably two of the cast leaping through the air and having a sword flight as they sail across the room). As John Carpenter and Kurt Russell discuss both in their entertaining commentary (ported over from the R1 release) and in an extensive set of new interviews exclusive to this version, Russell is not the hero. Blustering, all-American truck driver, Jack Burton is actually the ineffectual sidekick to Dennis Dunâ€™s Wang Chi, a reversal of expectations. Though Jack is kept centre stage he never earns his place there. The studio hated the fact but thereâ€™s no questioning itâ€™s a fun and subversive idea and one of the most innovative things about the movie. It will never be Carpenterâ€™s best film and it certainly doesnâ€™t bear up to close scrutiny. The story is empty and the dialogue alternates between great, pithy jokes and almost unspeakable exposition but, taken as escapist entertainment itâ€™s never less than enjoyable. The studioâ€™s disappointment with the film Carpenter delivered (â€˜they wanted Indiana Jones,â€™ he admits in the interview) led to a lacklustre release campaign, which certainly contributed to the filmâ€™s commercial failure. In fairness, many audience members probably wanted, and expected, Indiana Jones too, instead they get a loose, comedic narrative stringing along fight scenes and a lot of wandering about. 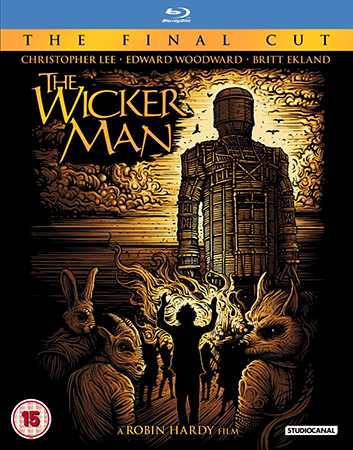 It was the home video market that took the movie as the silly romp the filmmakers intended, a hokey burst of fun, beautifully shot (Carpenterâ€™s frequent cinematographer, Dean Cundey is also interviewed on the disc) and it became a solid cult favourite. Letâ€™s hope they do so again as Arrowâ€™s disc is as flawless a presentation as the filmâ€™s ever likely to get (I know, I know, I always say thisâ€¦ but thereâ€™s a reason they won The Guardianâ€™s â€˜Label of the Yearâ€™ accolade in 2013, theyâ€™re terribly good at what they do). The movie looks and sound wonderful. As well as the interviews mentioned above, there are also contributions from producer, Larry Franco; stuntman, Jeff Imada and visual effects producer Richard Edlund. There is also an extended ending, a handful of deleted scenes, an old â€˜Making Ofâ€™ feature and a music video of Carpenter and his band The Coup De Villes performing the title song. That last is almost unwatchable, despite my liking his synth-centric scores, but fascinating to peek at.